Would you like to raise your organisation’s profile and brand awareness, increase employee engagement and moral whilst also meeting your corporate social responsibilities? Yes? well read on…. A staff event to raise money for Lead Scotland – like a bake sale, quiz night or a skills auction. A team building event such as the Great Run and raise money for Lead Scotland. Volunteer to take part in our fundraising activities during the year, bag packing or bucket collections. Staff could rise to a challenge like the 2018 Kiltwalk and raise funds for Lead Scotland. Generously donate marketing material and support us to raise awareness and our profile. Any way you wish to get involved we can support you and your business and also to raise brand awareness for you through our channels, contact Gail Phillips on 07768917498 or email fundraising@lead.org.uk Thank you! RAL Display has very kindly donated a banner to Lead Scotland. 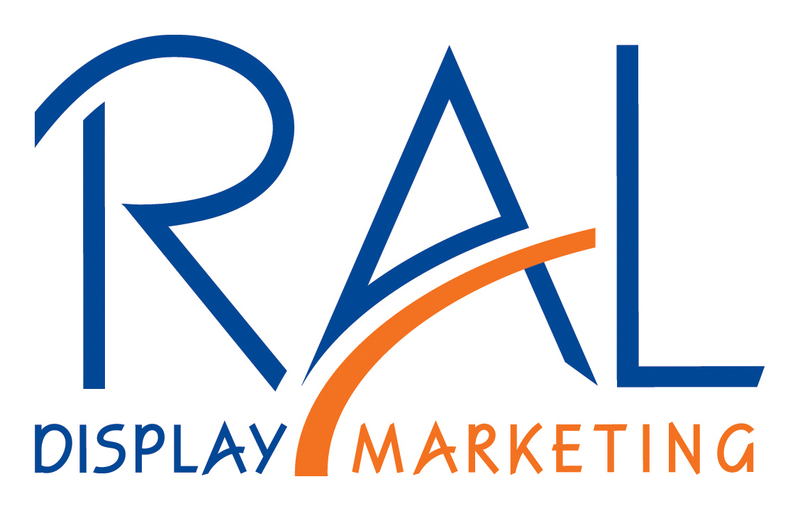 A company with almost 40 years experience in producing banners and promotional materials, RAL Display’s generosity means that we can continue to fundraise for and promote the work we do at exhibitions and conferences across Scotland. Thank you RAL Display! Fast delivery and amazing customer service. To see their range of great products please visit RAL Display. Fast delivery and a fantastic product from Seareach the experts in security labels, tags and documents. A very generous donation of asset tags and void labels for our computer loan scheme, supporting disabled adults and carers to learn on accessible equipment. Thank you! Please check out the Seareach Website. Persimmon House Builders were very generous with a donation of £800 towards specialist IT equipment for our project in Perth. Persimmon donate over £1 million to charities in the UK every year! Thank you Persimmon. Thank you to Tough Construction who donated £1000 to Lead Scotland. A civil engineering and groundworks specialist strategically located in Glasgow. Established in 1974, they are a well respected and experienced company whose partner led approach with their clients has ensured high levels of repeat business and continued and steady growth. Big thank you to Bannerbuzz for their kind donation of a banner to Lead Scotland, banners support Lead Scotland to raise awareness at events, for more information on Bannerbuzz please check out the Banner Buzz Website. Big thank you to Marler Haley who have donated a banner to Lead Scotland, check out their website here, with so many projects across the whole of Scotland it is essential that we can promote our service everywhere and banners enable us to reach our audience. Massive thank you to Go Displays for giving up their time to create a banner for Lead Scotland! check out the Go Displays website here and their generosity means we can raise our profile and provide our service. What an offer from the amazing Discount Sticker Printing, over 3000 stickers! we are very pleased to be working with them and their kindness is charity giving at its best! check out the Discount Sticker printing website. Wee print in Alloa were very generous in their donation of 40 copies of our Annual Review this year and this has allowed some of our offline members to have a hard copy at our AGM. Thank you so much Wee print! At Lead Scotland would also like to thank Display Wizard, supplier of banner stands, for donating a banner stand to us. Standing banners are a key tool for Lead to advertise the charity and raise awareness. We really appreciate their generosity and expertise, what a fantastic charitable offer! You can find Display Wizards website by clicking here. We previously had a pair of banner stand, and fortunately Discount displays was kind enough to donate a second banner stand to us which really is fantastic – we can’t thank them enough! You can have a look at Discount Displays website by clicking here. RAL Display offers a range of display stands which help with fundraising events and campaigns. They are currently donating a free pop-up banner to UK based charities. You can visit RAL Displays website by clicking here. Thank you to RAL Displays for their generous support of us, and all UK charities. After applying to the Marler Haley Charity Competition 2016 we unfortunately did not win, but the lovely people at Marler Haley were nice enough to donate a roller banner stand to us for free! Marler Haley, supplier of exhibition and banner stands, have a great offer for charities and schools on a the moment – Thank you Marler Haley! Custom planet were also kind enough to donate a few printed Lead t-shirts which was very beneficial at our recent press opportunity with Radio Buckie! I know they will continually be a great resource to have. Custom planet have a great range of products for both business and personal use, you have can a look by clicking here. Sweet Squared, Rangers FC, Lisa Angel, Costa, Tesco, Skirmish Paintballing, Narcissus Floral, Camera Obscura, Medusa, Edinburgh Leisure, ITV, Electric Hair, Palacerigg Country Park, Ryze Trampoline Park, Pret A Manger, UK Paintball, Eden Beauty Cabin, Adventure Gold Island, Charlie Miller, Scotch Whisky Experience, The Royal Yacht Britannia, Electric Circus, Paterson Hairdressing, The Deodoriser, Yo Sushi, Glenkinchie Distillery and Edinburgh Woolen Mill. We really do appreciate all your generosity!